If your New Year’s resolution is to finally get a car, then Earn-A-Car has a unique vehicle financing programme that can help you get behind the wheel in as little as 24 hours. There is no doubt that having a car makes your life much more convenient; many people rely on a vehicle to get to and from work, to do weekly errands, to take the children to school and much more, but if you have a bad credit score then securing financing can be very difficult. No one plans to incur financial troubles, but it’s a part of life that can happen to anyone in any financial situation. When your credit score is compromised you may find it’s difficult to obtain vehicle financing and it’s nothing that you should feel embarrassed or ashamed about. 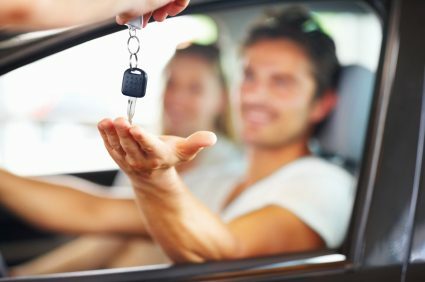 Using our unique earn-a-car programme, people with bad credit scores who can’t get financing anywhere else can rent a car of their choice for a monthly rental fee from us; each monthly rental payment you make means you get a cash reward, which can go toward the total cost of the car! At Earn-A-Car, we don’t conduct credit checks and you don’t have to worry about filling out stacks of paperwork that are usually required to borrow money. Forget dealing with bank loans, credit loans and other vehicle financing processes that leave you feeling stressed out and overwhelmed; our unique earn-your-car programme doesn’t require you to borrow money from anyone. If you’d like to know more about how you can get behind the wheel of a car in as little as 24 hours, even with a bad credit score, contact Earn-A-Car today. Vehicle financing is possible with us!